This category features any creations made in Poptropica Lands, where you can build an entire world. The code is 9d848, it has one like, and it was made by Nice Skull. Clicking the “See More” button will allow you to have 10 more creations on the screen. You can enter this code when in the “Public Realms” screen in the box in the top left. Of course, you can also share your realm! in the “My Realms” screen, you can click one of your own Realms and click the “Share” button. This will have a Membership symbol above it to make clear that only Members can share their Realm. Once you’ve clicked the button, it will say something about needing to be approved. All Realms that have been shared have to go through this, since the Creators need to make sure they’re appropriate! 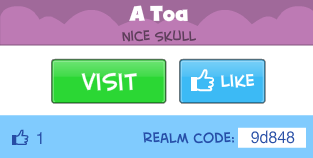 Once it’s been approved, it will show your Realms code so you can share it with friends. Now everyone can see your amazing Realm! Just remember: any new changes made to the Realm after sharing need to be re-shared. You can re-share a Realm just by clicking the “Re-Share” button. You can also share as many of your Realms as you like! LOTS to talk about today guys! 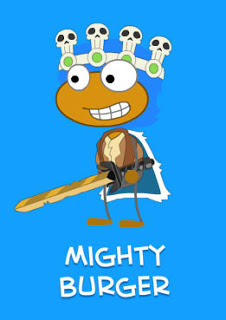 Let’s start off with the most recent Hall of Fame Winner… Mighty Burger! He can now be found on Reality TV Island. Meanwhile, some sketchy stuff is happening on Nabooti Island. 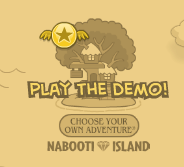 If you’re a non-member and you go to Nabooti Island, you will come across a “play the demo” label. After playing a while, you won’t be able to finish and will instead face the “end of the demo” page. Could this mean that Nabooti will be the next SUI? I can’t seem to think of any other explanation. In other news, we will soon be able to share realms! We will also soon be able to play Arabian Nights Episode 3! Most likely in July, to be specific. New Update for Poptropica Realms! Hey everyone, this is just a quick post here about the major update to Poptropica Realms! New Svadilfari abilities — reshape your Realms even faster with the Ground Pound,Hammerang, and Super Jump powers! Become a Master Creator! Reach level 15 and unlock this exclusive costume. Watch out for Twilight Pixies, because they’ll steal your Poptanium! Build and customize with even more interactive props! Experience eye-popping new weather effects: rain, snow, sandstorms, acid rain — even meteors! But that’s not all, everyone can get a free Realms Builder costume! 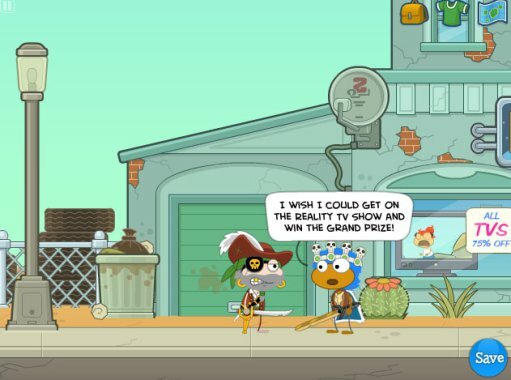 To get it, all you have to do is log in to your Poptropica account and enter the promo code GOREALMS.